AgroMax Signature Series 1000w Double-Ended Grow Light Systems deliver the latest in high-efficiency DE lighting technology for horticultural applications. 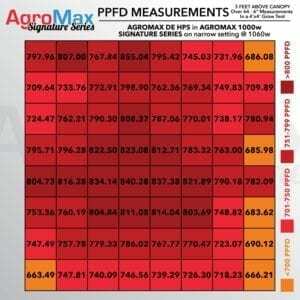 Considered by many to be the best grow lights available for large-scale growing operations, DE systems such as the AgroMax Signature offer greater efficiency than standard 1000w grow lights with higher PAR output, improved horticultural spectrum, and better light maintenance. 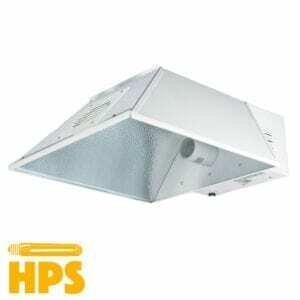 While DE efficiency is thanks in large part to the design of double-ended HID bulbs, a ballast with high-frequency capabilities is still required in order to achieve the full growing power. 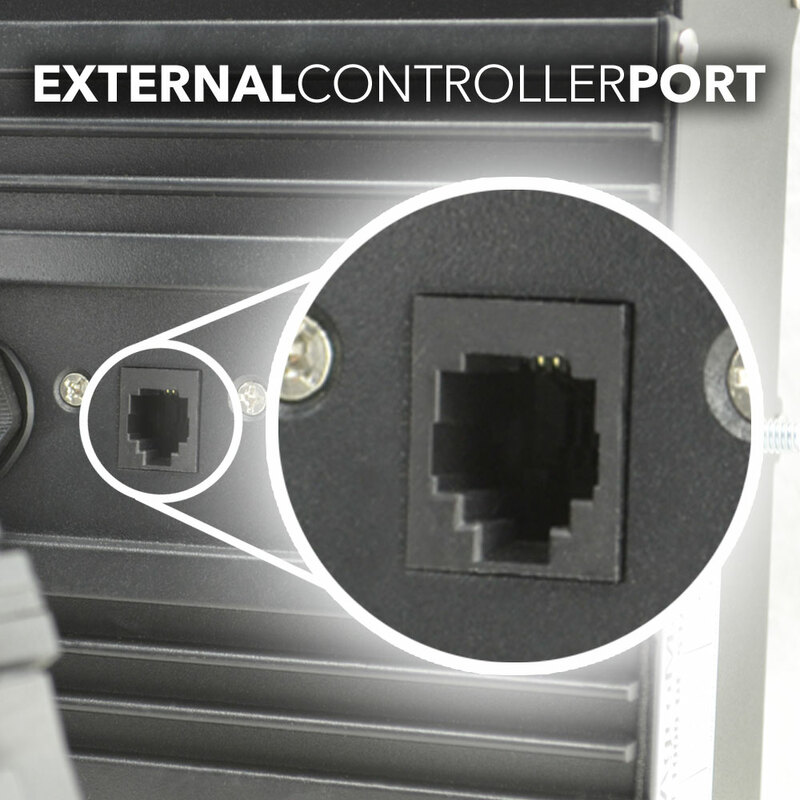 – Built-in intelligent software for advanced lighting control and system monitoring. 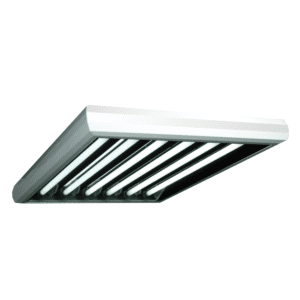 – 3-point reflector angle adjustment allows fixture-to-canopy distance to be adjusted without coverage loss. - Built-in intelligent software for advanced lighting control and system monitoring. 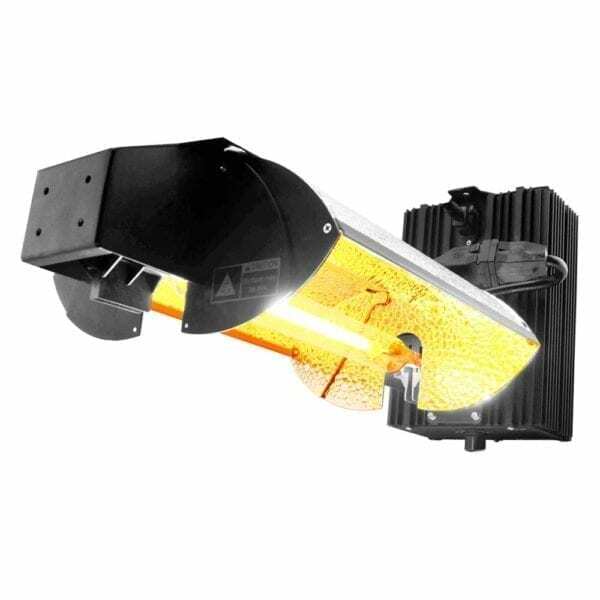 - 3-point reflector angle adjustment allows fixture-to-canopy distance to be adjusted without coverage loss. 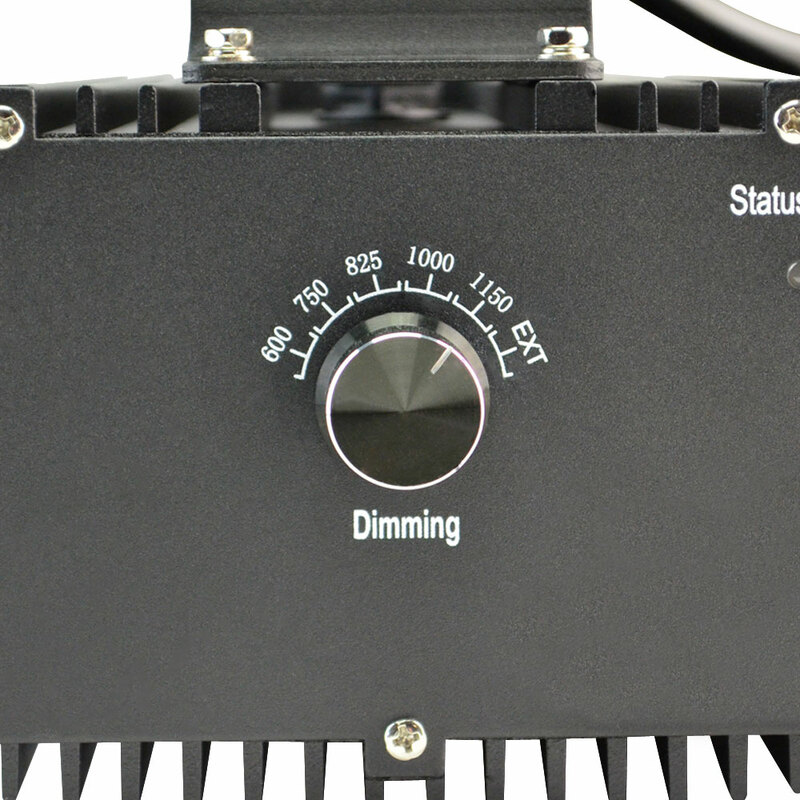 Customize your bulb. 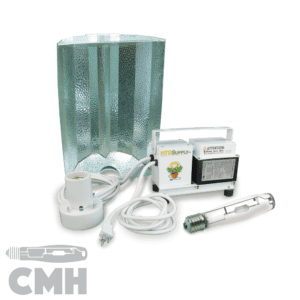 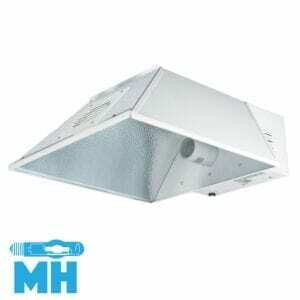 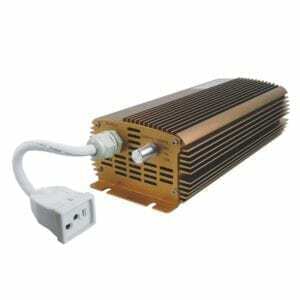 Choose from the industry's best DE HPS and MH lamps. 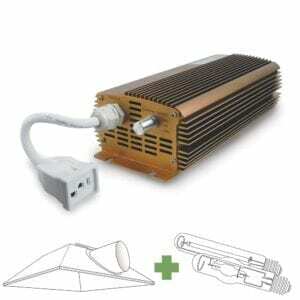 Save 20% on a spare bulb with your kit purchase! 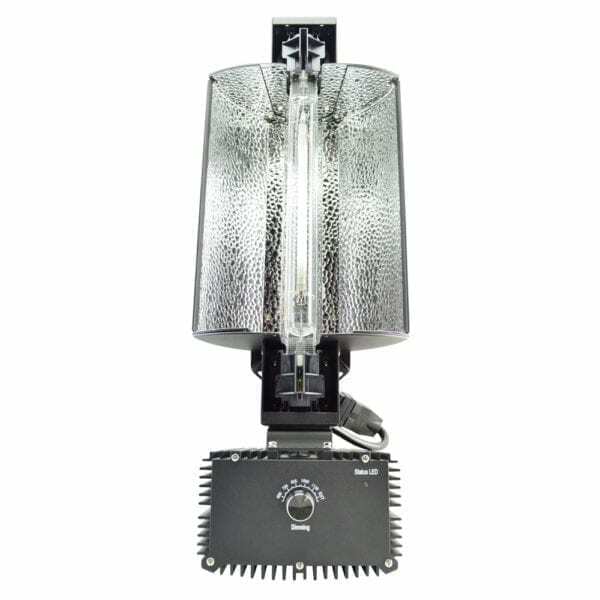 Equipped with a solid-state high-frequency ballast, ultra-efficient VEGA aluminum adjustable DE reflector, and advanced control software with intelligent monitoring, Signature DE systems push the limits of DE technology for maximum growth results. 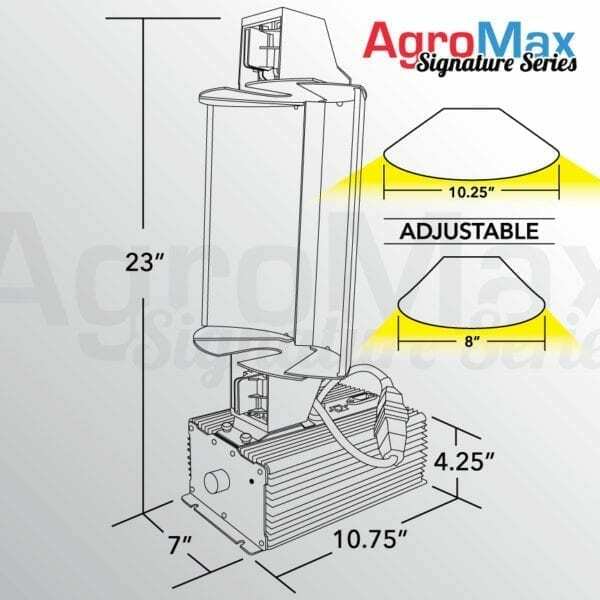 Intuitive extras and system adaptability make the AgroMax Signature DE one of leading double ended fixture choices for a wide range of growing applications including primary lighting for both small and large-scale indoor growing, as well as supplemental lighting for commercial greenhouse operations. 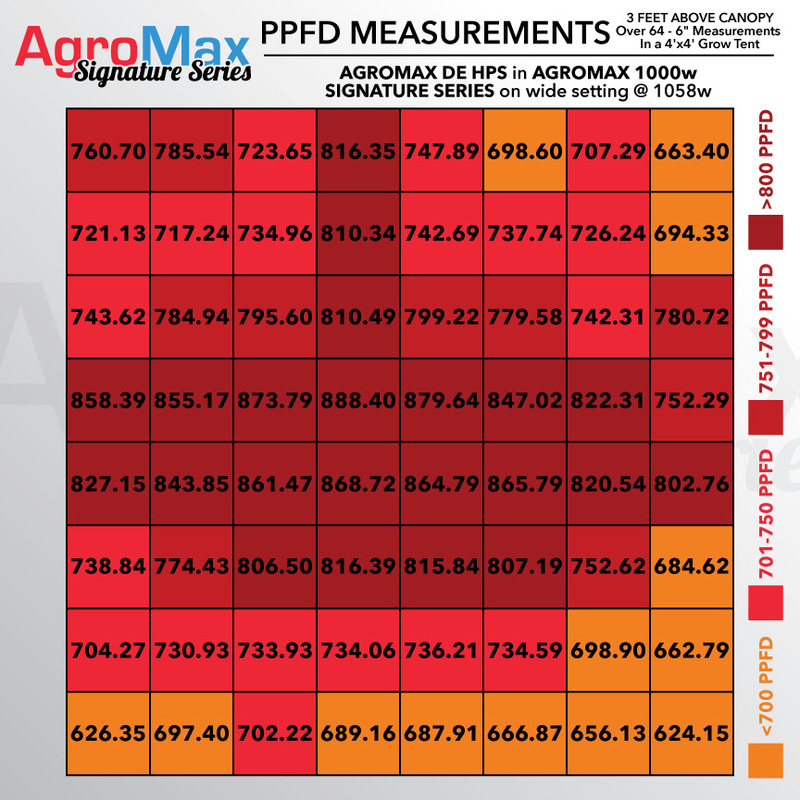 Integrated Intelligence — AgroMax Signature DE fixtures feature built-in intelligent software for advanced lighting control and system monitoring. 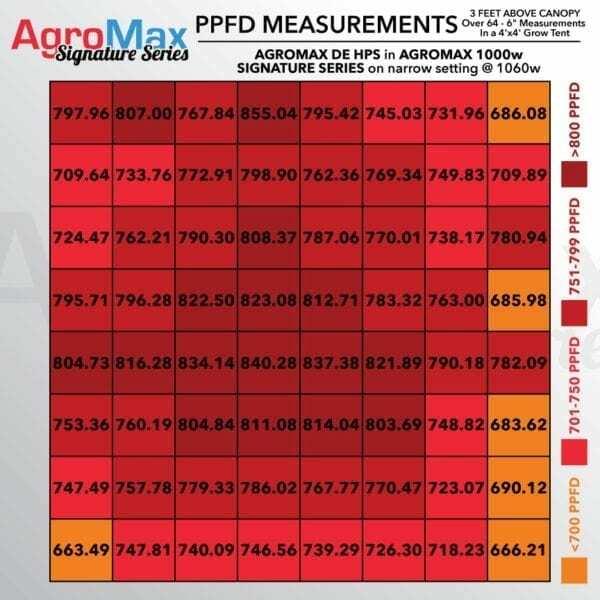 As many as 100 fixtures can be synchronized with dynamic cycle controls and high-temperature safeguards via the AgroMax Master Controller (sold separately), while integrated programming monitors status and protects individual units from system errors. 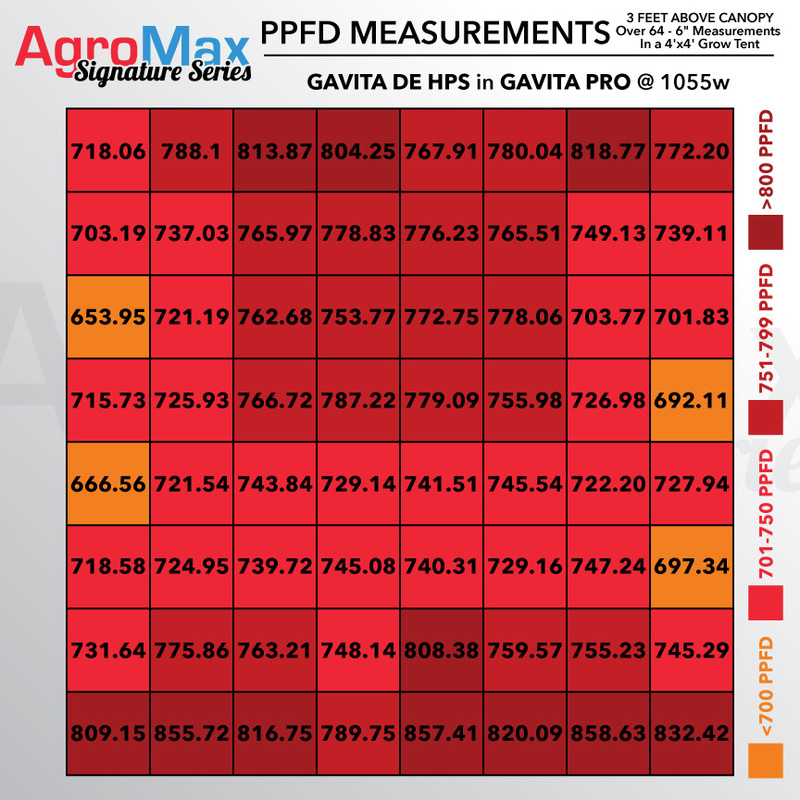 Adaptive Advantage — While most DE lights only offer a static design that limits fixture positioning, the AgroMax Signature Series DE provides the ability to fine-tune light position to unique facility layouts. 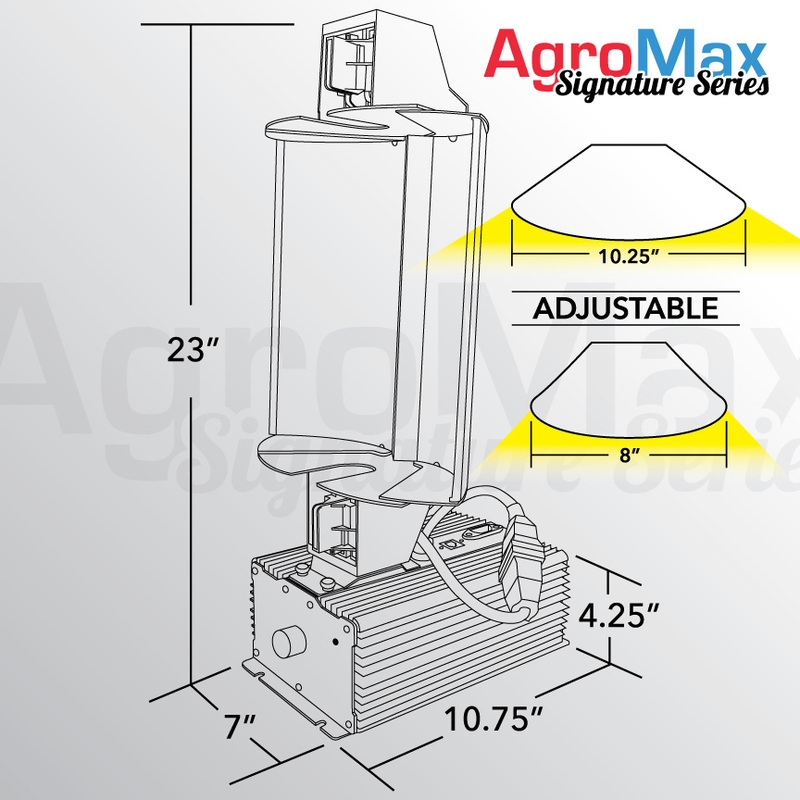 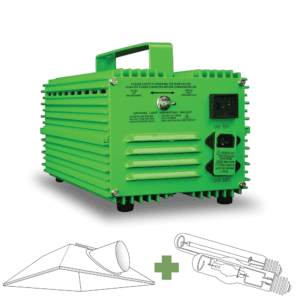 The AgroMax DE fixture’s 3-point reflector angle adjustment allows fixture-to-canopy distance to be adjusted without coverage loss while remote configuration capability allows the ballast to be mounted up to 15′ away from the reflector.